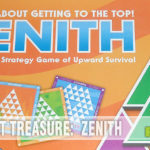 If you’re a regular visitor to SahmReviews, you can probably understand when we say we spend a lot of time reading rules for a game. We are fortunate to get to play a lot of different board games, either brand new to the market or ones we find at thrift. In both cases we are usually unfamiliar with the rules and one of us must become the ‘expert’ in order to teach the rest of the family. Because we talk about 100’s of games each year, I would have to estimate a few hundred hours of pouring over rule books. Sometimes we luck out and a friend has played the game already so he/she can teach it to us. That’s the most ideal as not only do we learn the game, we get to play it right away! 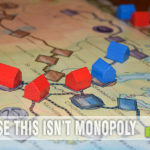 But if it is a brand new game to market, finding someone who knows the rules already is much harder since we may be the first in our area to even own a copy. 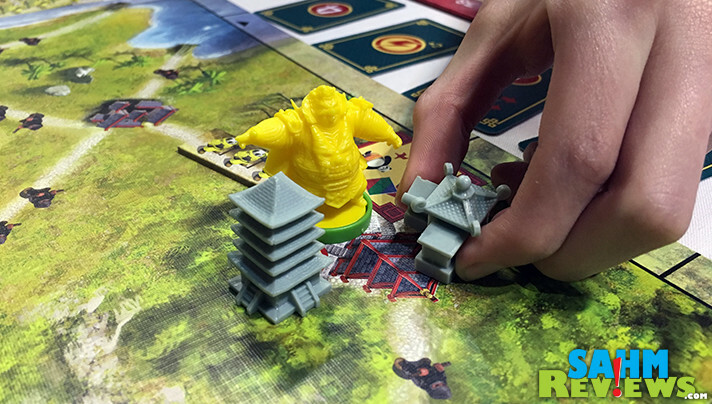 When we visit conventions we appreciate the time the games’ designers take to demo their products. There is no better way to learn a game than directly from the person who created it! 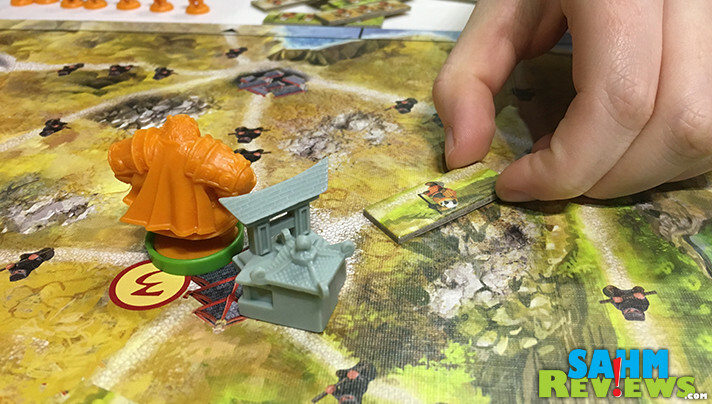 Our friends over at CMON had kindly forwarded a copy of Way of the Panda to us well ahead of its May 25th retail date (that’s today!). 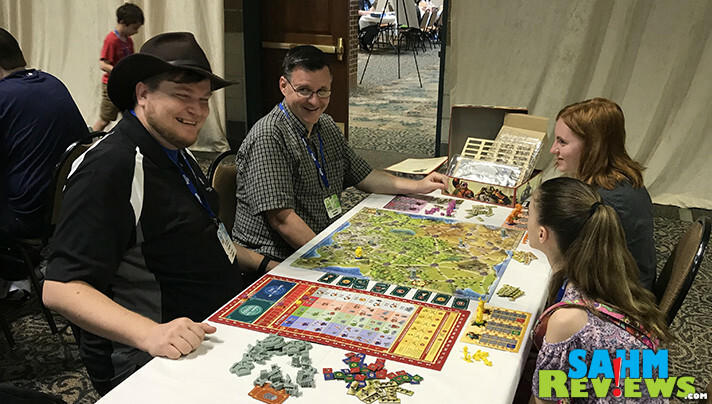 We elected to bring it with us to the Geekway to the West convention last week, knowing we’d probably be the only ones there with an actual copy to play. Of course I took the time to read the rules in our hotel room the night before so I could teach it to the rest of the family when the convention opened. Little did I know that effort would not have been needed. One of the very unique things about the Geekway convention is the willingness of total strangers to walk around looking for someone who is playing a game they know, but is struggling with the rules. They will quickly volunteer to teach the game, even though they aren’t playing! I admit, I do the same and taught quite a few while I was there. But this was the first time someone approached us wanting to teach us this brand new game. When I looked up at the person making the request, it dawned on me that this guy obviously had also received an early copy and had played it a number of times at CMON’s own convention! Who was this kind stranger? None other than board game industry celebrity, Tom Vasel. For those of you who don’t follow the hobby very closely, Tom is the founder of The Dice Tower, one of the hobby’s best-known independent content creators and well known throughout the game industry. Tom and I had met before at Gen Con last year, but with the number of people always clamoring for photo ops with him, I doubt he recalled our brief encounter. What I do remember is that he’s well aware of the work we do at SahmReviews for the game industry and commented that we are “one of the few that do it right”. While our background is working with Fortune 500 companies, it was pleasing to hear kind words from someone within an industry that we’re truly passionate about. Tom had played Way of the Panda a number of times and knew it well enough to teach the game to us as we went through the first round. Set in Xian, the eastern region of ancient Panda-lands, it was now being pillaged by a merciless brotherhood of human ninjas. A new Emperor now sits atop the Black Lotus Throne and demands an end to the human menace, so it is up to the four Panda clans to unite to free their homeland. 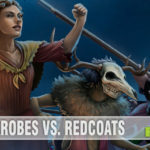 You will be playing as one of these clans and receive detailed miniatures of your guards and Champions (a Monk, Governor and Warrior) in your player color, matching colored road tiles, three clan markers and a clan sheet. The two included boards are set in the center of the play area and are randomly populated with six buildings in their starting locations. Players’ clan markers are placed on the turn order track, the “6” space on the victory point track and the “4” space on the action point track. 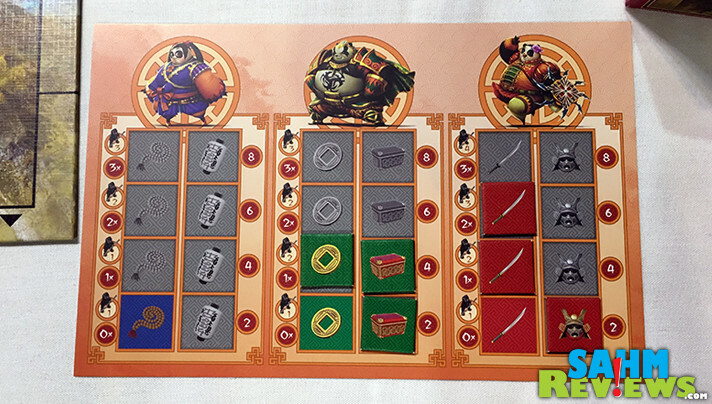 Depending on the number of players, each will place a guard (or guards) on top of a ninja on the board. The three Champions for each clan will also be placed, with players taking turns doing so. The two boards for Way of the Panda serve different purposes. The main board is the map of the region and shows paths and cities you will be protecting. The other board holds your actions and tracks your points. On your turn you will simply select an action by placing one of your guard miniatures on the action you wish to take. Only one player can take an action, locking the others out from the same one. On the left side of the row in which your action exists is the cost to take that action. Move your action point marker down to spend points to activate the action and then resolve it. That’s the limit of your turn! Actions range from building a building, moving your Champion, increasing your strength or completing quest (or combinations of more than one). The more powerful the action, the more it costs. Plus you must choose the column that corresponds to the Champion you wish to activate by selecting the correct color. The right-most column lets you use any Champion, but spaces are limited. Additionally, on subsequent turns you have to choose an action higher than your previous actions, meaning you cannot choose one in a cheaper row nor to the left of your highest action. So you have to plan ahead and not lock yourself out of an action and maybe have to perform them in a different order! The ultimate goal of Way of the Panda is to construct buildings to claim areas of the map. You will take the appropriate action to build a building type (each Champion can only build one type of building) and will move from city to city (if possible). Each Champion has a number that represents how many ninjas they can transverse, and if the road has more, they cannot move that way. Each time you successfully take a path you are allowed to cover one of the ninja with one of your guards, effectively lowering the number of ninja on that road for everyone. In order to construct buildings you will need to have defeated a minimum number of ninjas in order to build safely. Only two guards of any color need to be present to erect the first building, but you’ll need a total of eight to build the sixth! Points are awarded for constructing buildings and vary depending on whether they are the first all the way to the last. Bonus points are also gained for the number of guards in the area owned by your opponents. Once a building type exists in a village, it cannot be built again until all three different types are made and the village is converted into a city (by removing the buildings and adding a new city base). Anyone who builds the third required building also gets to draw a city card which gives an instant bonus and now the three different types of buildings may be built again! When you completely vanquish all ninjas on a road, the person with the most guards (or the last, if tied) places one of their roads onto the board over the ninja and everyone gets their guards back. If a village/city is completely surrounded by clear roads, the person who cleared the last road is awarded two victory points and everyone receives one point for each guard depicted on the road tiles of their color! On your personal clan sheet you will track the strength upgrades and completed quests for each Champion. This is part of the end-game scoring and Way of the Panda requires balance when considering which actions to take. 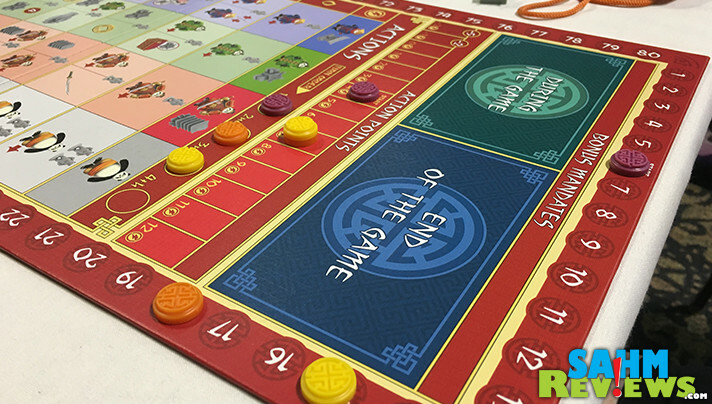 Depending on the values printed on the sheet, you will multiply them against each other for end-of-game scoring. So even if you completely upgrade a Champion to be as powerful as possible, if they haven’t completed any quests, you will still score zero for them. A game of Way of the Panda ends when either five city bases have been constructed, two full capitals exist (a total of six buildings on one location) or all of the buildings have been built. Add your multiplied scores from your clan sheet to the total victory points earned during the game and the Panda with the highest total wins Way of the Panda! 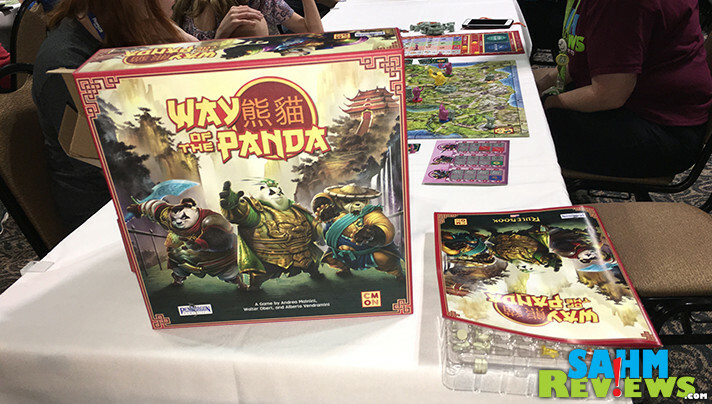 As previously mentioned, Way of the Panda is available for purchase starting today at your local game store or on Amazon! 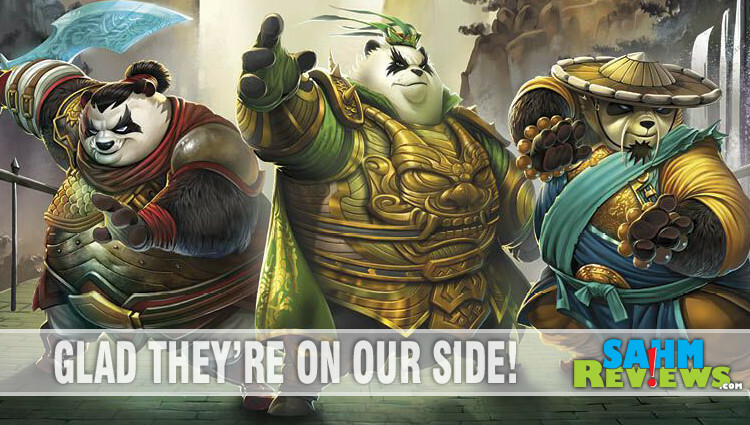 While a little higher priced than some of the other games in this genre, you’ll receive your money’s worth in balanced game play and amazing plastic miniatures of the different Panda champions! 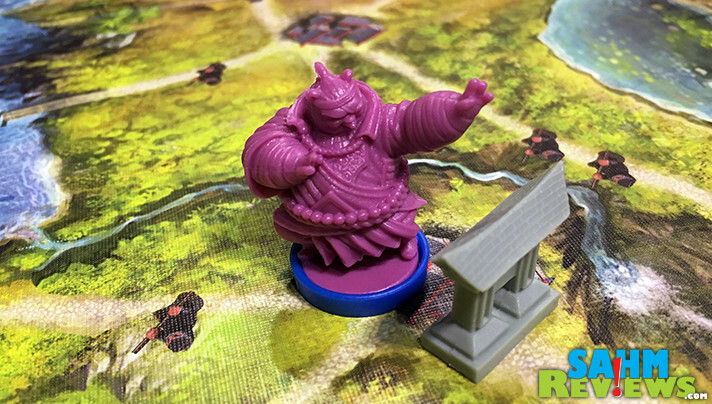 CMON has an amazing lineup of games coming out this summer, and if you don’t want to miss a grand debut, keep reading on SahmReviews as well as following CMON on Facebook and Twitter! Of course you can also check out their website where their entire library is featured and available for purchase! Don’t you just love pandas?! 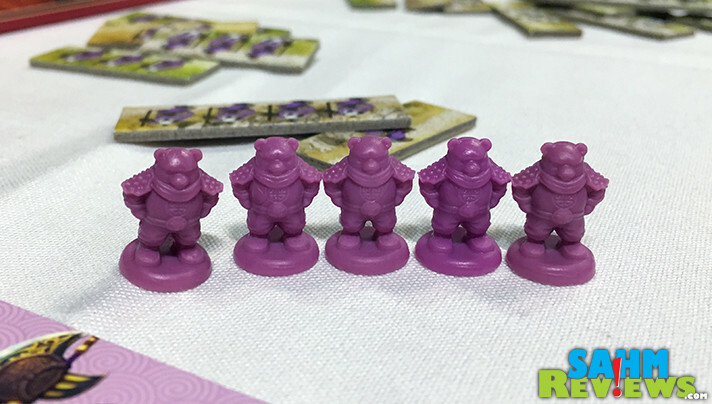 What other panda-themed games have you seen? This sounds like a good and complex game. 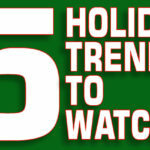 A lot of thinking ahead involved that is for sure. I like game that make me think. This game looks like a blast! My kids love this movie, I bet my oldest son would enjoy playing this with his friends. Great way to get them thinking! 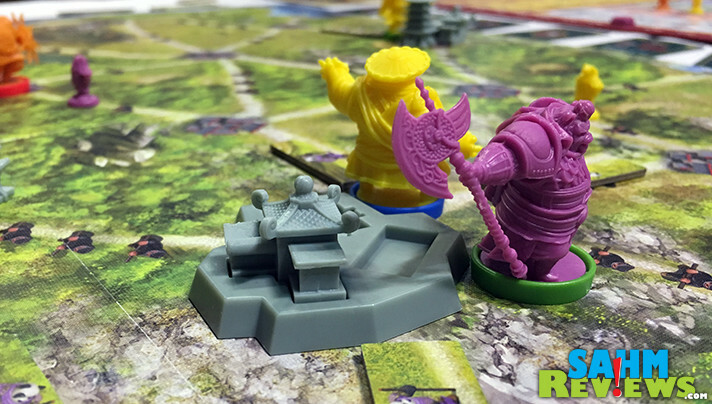 Wow, how fun to get to try out new board games! This one looks like something both my boys would have a blast playing. I love that it will get us all thinking. Fun!